Due to numerous inquiries about our puppies it is difficult to return all phone calls. We request that all initial inquires are made through email. Thank you! 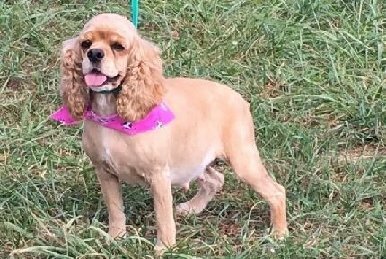 "Ellie" is an AKC small Cocker Spaniel, she weighs 16 lbs. She is extremely sweet, loves toys and is a great Mom! 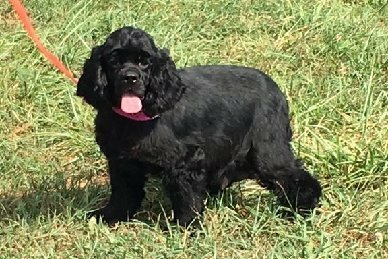 "Luna" is an AKC black Cocker Spaniel who weighs 25 lbs. She is very outgoing, will fetch and loves water! 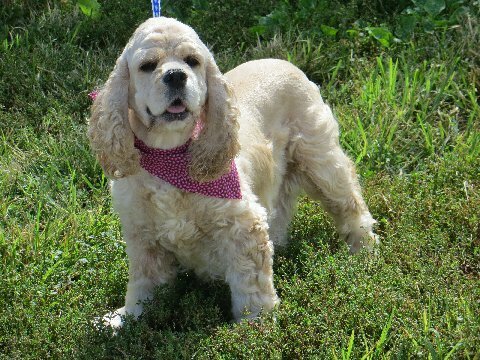 "Gigi" is an AKC buff Cocker Spaniel who is very sweet and playful. She weighs 22 lbs. "Sam" is an AKC buff Cocker who weighs 26 lbs. She is 100% lap dog! 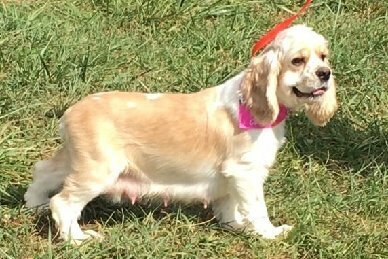 "Ivy" is an AKC buff and white Party colored Cocker Spaniel She is extremely sweet and calm! 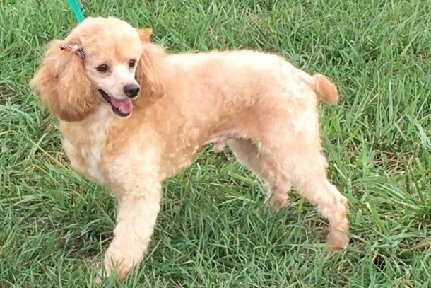 "RUDY" is an AKC Small Mini Reddish buff male Poodle. He is a son of Cowboy and Annie! He is extremely affectionate and playful. He weighs 13 lbs. 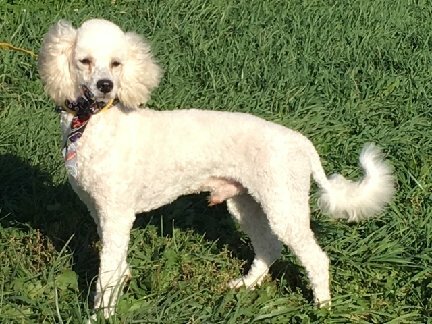 "Starsky" is an AKC large Miniature Poodle, son of Cowboy. He is very outgoing and loves everyone. He weighs 21 lbs. 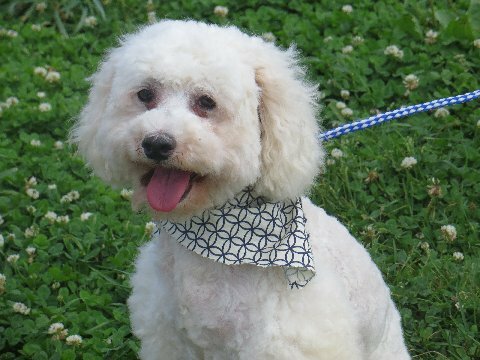 "Tiger" is a 6 year old AKC registered Sable male Poodle. He too is very solid in build and weighs 18 lbs. He has a great playful nature and is very healthy. 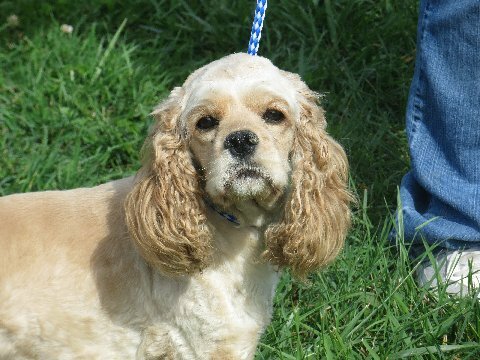 "Cowboy" is an AKC registered, 9 year old male. We have owned 4 generation of Poodles behind this guy. He has been extremely healthy and has a great personality. 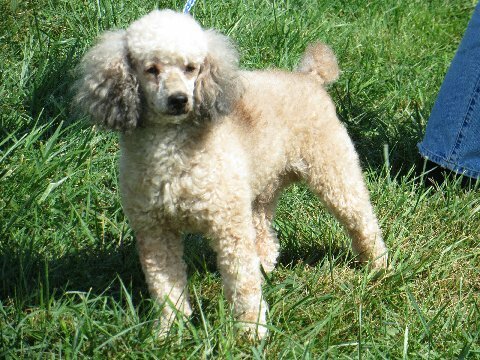 He is a solid miniature Poodle who weighs 15 lbs. 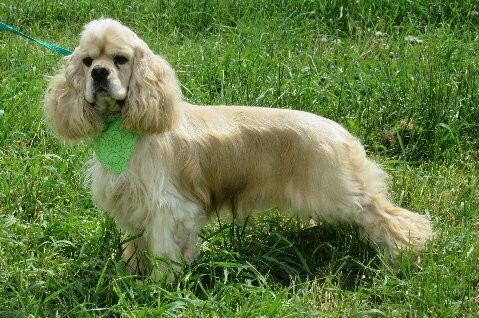 "Kingsley" AKC Champion bloodlines, silver buff male Cocker Spaniel. He is an extremely sweet natured and has a fun personality. Extremely healthy!